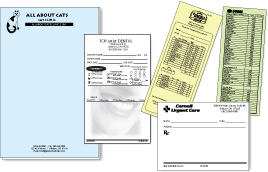 Use a pre-printed notepad at your next meeting, or as an addition to your corporate identity package, Notepad printing is a versatile product. Unlike other promotional pieces that people read and discard, a Notepad provides a piece they will hold onto and use over and over again. Use Notepads at your next trade show or special event. Instead of a bowl of candy or some other quickly forgotten trinket, you can give potential clients a take away that will remind them of your company every time they take a phone call or jot down a quick message.